How Does Today's Full Moon Affect You? A full moon in Libra usually bodes a sensual, lazy time that is spent in the company of one good friend. Often this friend is a spouse or a lover but not always. It usually leads you to spend time with the being whose company you enjoy most in life. Sometimes this preferred companion is not even human; it can be a pet! Libra is also a sign that loves art and beauty so this full moon could have many people buying new furnishings and art. It also favors the buying of outdoor furniture, statues and building outdoor ponds. If you have plans to beautify your surroundings, then this is a good evening to do it. The Libra energy also encourages vanity. This is a good day to get a makeover, buy clothes or buy perfume. It is also a good day to buy yourself something just for the heck of it; like a CD or knick knack of some kind. Here is a look at how today's full moon in Libra is likely to affect your sign this year. This full moon will find you obsessed with a personal home beautification project that has been obsessing you for some time. If you are planning to paint, paste or lay any carpet, the project will go a lot better than usual. The moon also favors buying kitchen appliances, fixing up the garage and also spring cleaning in general. This full moon could find you in the mood to revamp your bedroom. It is a very good day for you to buy a new bed or sheers and just make yourself more comfortable in general. You might also feel in the mood to shop for clothes or pamper yourself with a special perfume. Taking cooking classes is also favored for Bulls this full moon. This full moon has you busy outfitting your office so that it is a more comfortable place for you to spend time. Beneficial vibes make this an excellent day for you to invest in a beautiful new piece of technology such as a Smart Phone or new computer. Tonight celebrate your good fortune in general by going out to a movie with good friends. You may find yourself a little obsessed with the occult or religious objects. This is a good idea to explore New Age or alternative religions if you are so inclined. 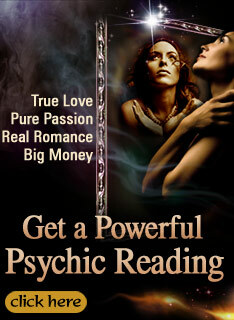 This vibe is also quite conducive to finding kindred spirits or even that special someone who could be a soul mate. If you are single consider focusing on a hobby or special interest as someone you are compatible with could somehow manifest in your life as a result. This is a really great evening to go out with friends to a club or a movie. In fact, the vibe also favors creating a little culture of your own. If you have a creative project you want to complete, such as the making of a video or the performing of a fashion show then it will be really well received. Lions who are actors will also likely get the part if they audition. This is a great day for telling jokes, stories and public speaking. This is a low key full moon for you that is likely going to revolve around talking long-distance to relatives and spending time with pets and children. 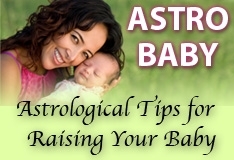 The Libra moon also favors taking a child shopping or grooming a favorite cat or dog as well. Tonight spend some time pampering yourself in a bath and reading a favorite magazine. Organizational activities such as making a plan for the perfect garden or scrapbooking are also favored. You are going to bask in the glory of this moon one way or another. It always has the welcome effect of bringing more cash into your life. You will also enjoy the romantic attention it is likely to bring you as well. Singles are likely to meet someone new, especially if they take a saunter out to a museum, art gallery or other place of culture. This friendly energy makes it extremely easy for you to meet someone on the fly, while standing in line or spending time in a coffee shop. This moon also favors socializing with good friends or perhaps introducing your one and only to a special circle of friends. Show off your cooking skills or fine taste in wine to someone special. You will be in the mood to explore new restaurants, museums or art galleries. Spending time with someone who shares your hobbies and interests might even lead to a new job or part time gig making money. This energy also favors buying a new cell phone or a flashy new piece of technology. This energy puts you in the mood to redecorate your home or plant a new garden. If you don’t feel you can do all of the work yourself you can invite your friends over to help you and as a reward show off your famous cooking skills. Bargains are to be had for savvy Goats who want to shop for jewellery, shoes or clothes today as well. The Libra moon makes you feel a little restless and wild. You may also be having second thoughts about a current relationship that seems to be holding you back from socializing with your friends. It is a good idea to try and blend your personal life with your social life as someone’s feelings may be hurt if you separate them from your plans. The energy of this moon offers you a wonderful opportunity to spend quality time with children, relatives or close friends. A big family dinner is in order, if you can plan one. The Fish will also be focused on beautifying the garden at home. A short, possibly overnight trip to a spa will go incredibly well if you plan it for this day.